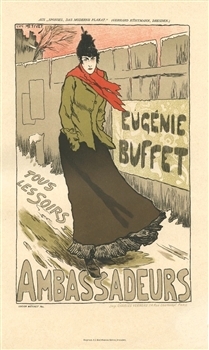 Lucien Metivet lithograph poster "Ambassadeurs"
Medium: lithograph (after the poster). 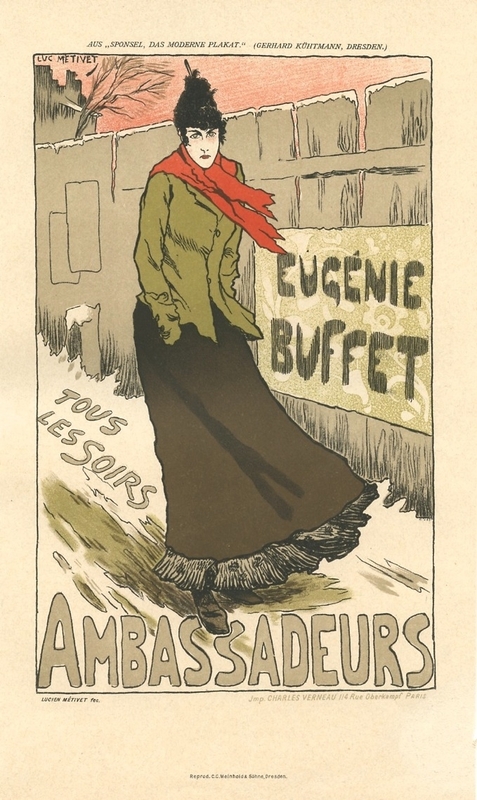 This beautiful lithograph is a smaller-size replica of the original poster, published in Germany during the 1920's by C.C. Meinhold & Sohne. The total sheet measures 11 1/2 x 6 1/2 inches (290 x 160 mm). Signed in the plate (not by hand).